Notes With the advent of the month of Elul and the approach of the High Holy Days, a devout earnestness settled upon the Jews in the small villages of the Ukraine. Echoes of sacred music filled the air. Fear and awe of what the future, the coming year, held in store permeated the atmosphere. 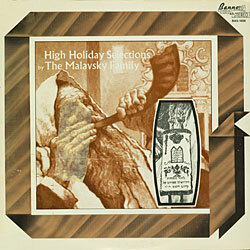 These impressions are all reflected in the beautiful, traditional selections of this High Holy Days Album.